Let's Stamp! : Time to play! 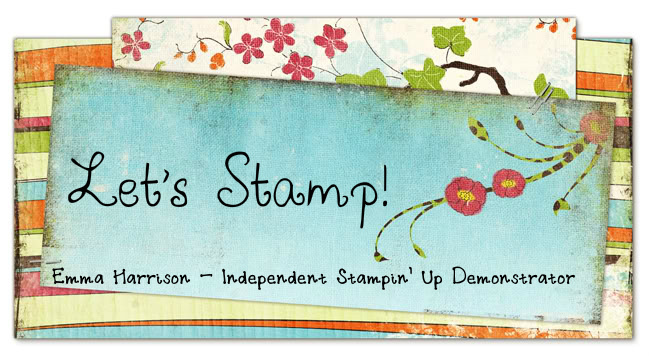 I've had great fun playing with all of the wonderful stamps that arrived in my starter kit. The first one that caught my eye was A Rose is a Rose. 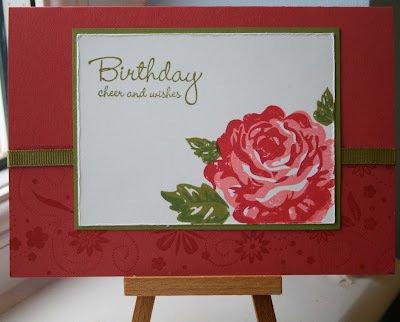 I have to confess that the rose is not my favourite flower and at first I didn't intend to purchase this stamp set, but when I saw all the gorgeous cards that had been made with it, I had to have it! I've made two cards to show how adaptable this stamp set is. 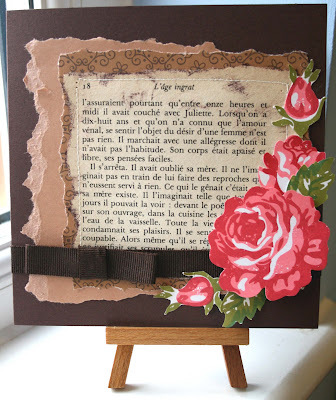 The first one is quite grungy and I've aged the paper torn from a book with Choc Chip ink. The second one has a more contemporary feel to it, and is a gorgeous design that I CASEd from someone (who I need to go and search for so I can credit properly!). Applogies for the poor photo setting, but the best light is from my son's bedroom window! I really do need to find somewhere more scenic to take photos from! Anyway, I hope you like them, and please leave a comment if you do. It's always nice to hear from you. Ribbon: 1/4 grosgrain ribbon in very vanilla, which I've coloured with my pens.